Your safety and security while flying is our top priority and we take every precaution to assure that each JetSet passenger will have a safe, stress-free experience every time they travel using one of our private jet operators. We assure this level of safety by only using private jets that meet or exceed the rigorous safety regulations set forth by Wyvern LTD and Aviation Research Group/US (ARG/US), the world’s top, third-party aviation auditing and intelligence organization. Each air carrier we use must hold a minimum gold rating from ARG/US. All aircraft operators and pilots must also meet the FAA Part 135 Regulation, and hold a current Operating Certificate. This assures that each Pilot-in-Command and Second-in-Command has both the skill and the experience to operate that specific aircraft. They must also pass several additional industry standard requirements. All the aircraft we work with must always be under the full operation control of these certified operators. Before your aircraft even leaves the ground it must pass the TripCHEQ Report, a service of ARG/US that examines each plane, pilot and carrier before every flight, by tracking certifications, ratings, accidents, incidents, violations and more. Nothing is allowed to slip through the cracks. 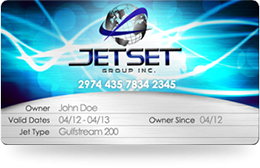 JetSet Group Inc, will not work with any aircraft or operator that does not meet our strict requirements, period. 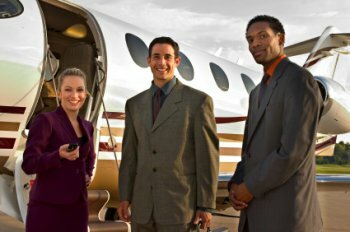 You can travel with the peace-of-mind that comes from knowing your private jet is safe and secure.